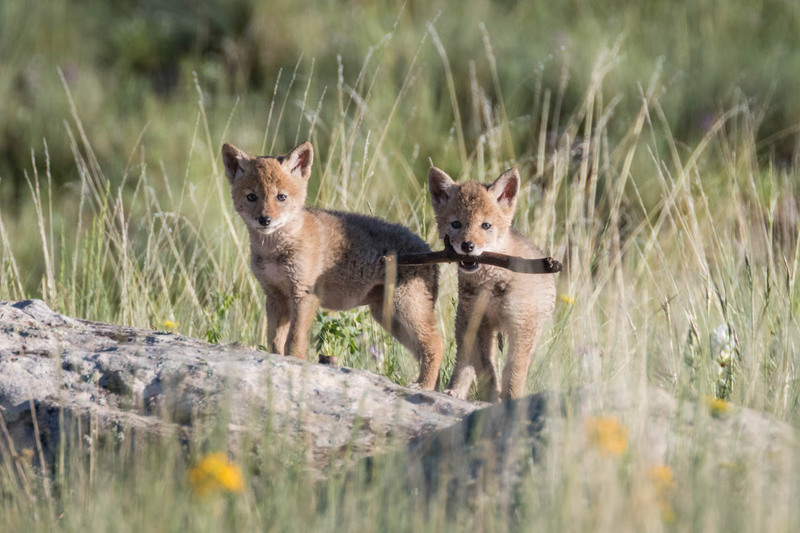 With help from one of Vermejo’s expert guides, we will search for wildlife (especially searching for young bison in their red coats, elk, deer, black bear with cubs, bighorn sheep, etc.) from comfortable 4WD vehicles that serve as excellent mobile blinds. 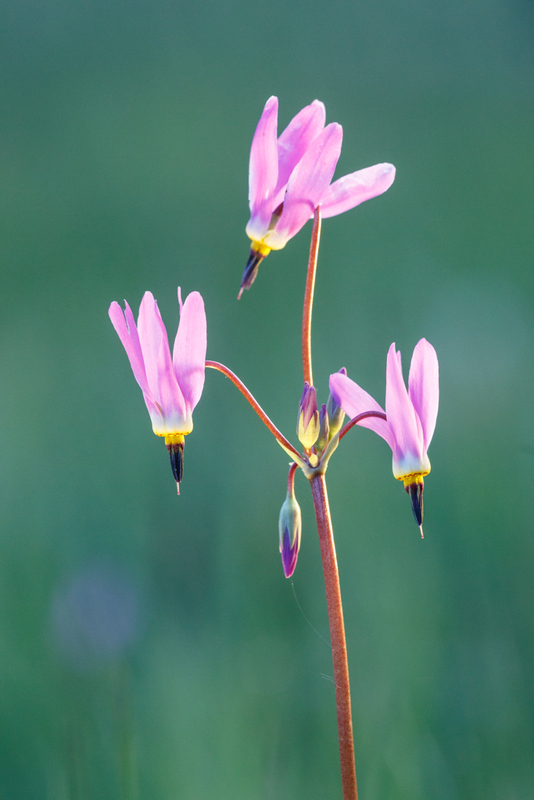 We will also search out Vermejo’s best meadows and mountain-tops for incredible wildflower displays that happen most years. Geographically we go from the middle of Vermejo and its mid-elevation meadows upward to 12,000 feet mountaintops as we look for photo opportunities and unique experiences. 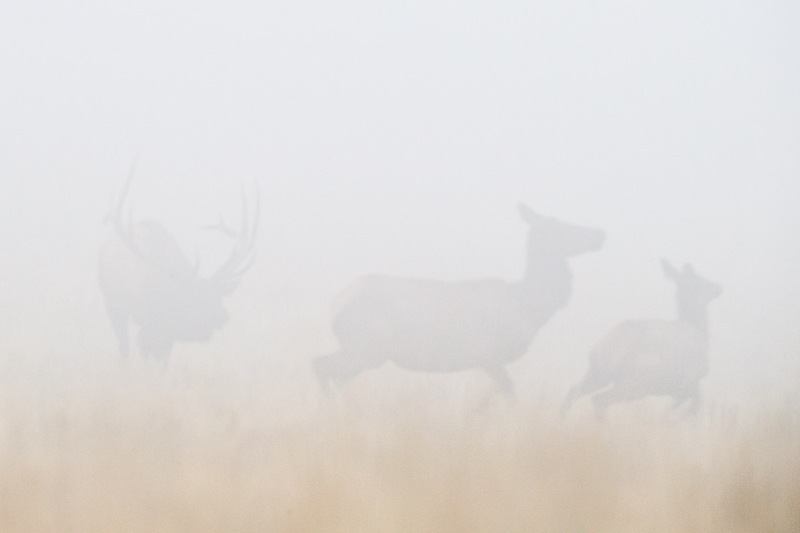 At our August workshop, we explore from the mid-elevations south to the prairies, including Vermejo ghost towns and in September, we photograph bull elk in rut and autumn aspens. 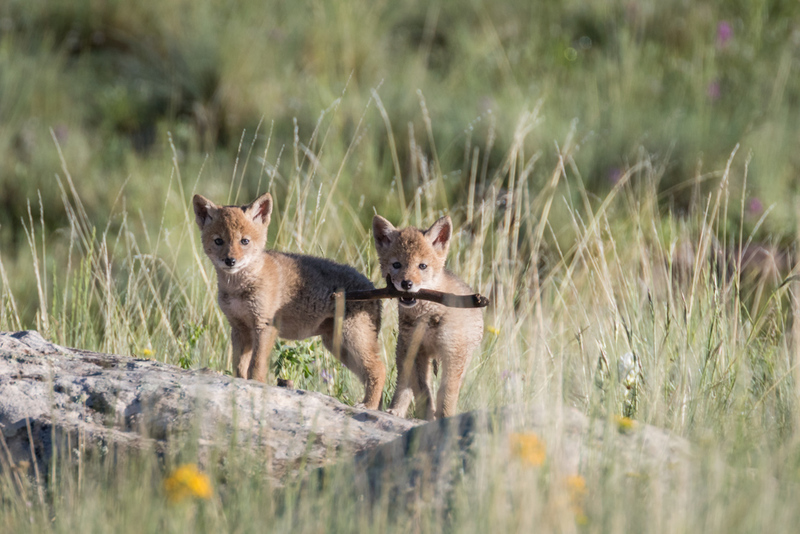 Guests also have an option to extend their stay another two days if they wish to experience more of what Vermejo has to offer or more time for photography instruction. We keep the itinerary open on this workshop give us the flexibility to work around the weather, the wildflowers and the wildlife opportunities. We will generally be out before dawn and out late, chasing the best light and opportunities. The following itinerary gives you some idea what to expect, but I will usually adjust it every evening after a discussion with the group. I will also be available during our down times to work with each participant on their images, their photo techniques, or digital issues. Bring your laptop and I can look over your shoulder if you wish! If the weather and action is good, however, we will spend as much time out in the field as we can, chasing photo opportunities. The first day is very relaxed. Arrive at noon or early afternoon. You will have time to grab some lunch, get checked in and take a nap from your journey. Participants usually arrive between noon and 3pm, so there is no rush. In the afternoon, we will hang out on the patio to chat about what you would like to see or achieve during the workshop. We will then go on a photo drive before returning for dinner and a good night sleep. 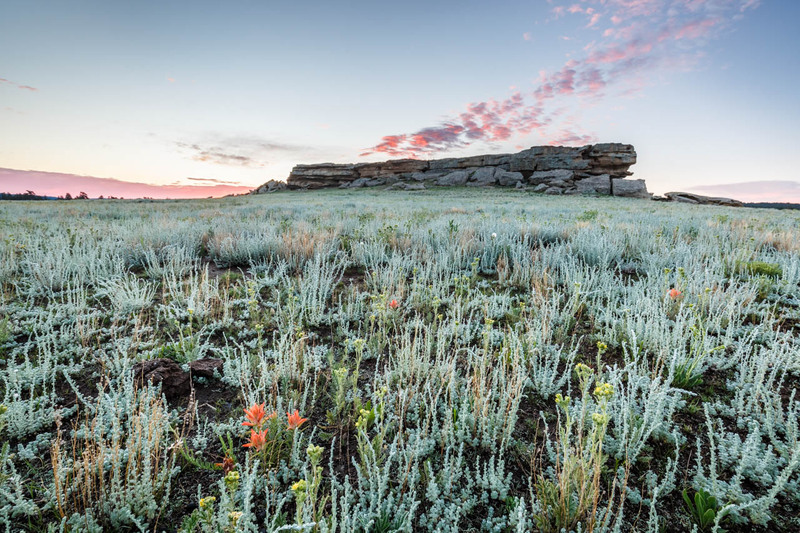 Early in the morning we will head out to Vermejo’s iconic Castle Rock, a huge rock outcropping in the middle of beautiful, wildflower-filled field. 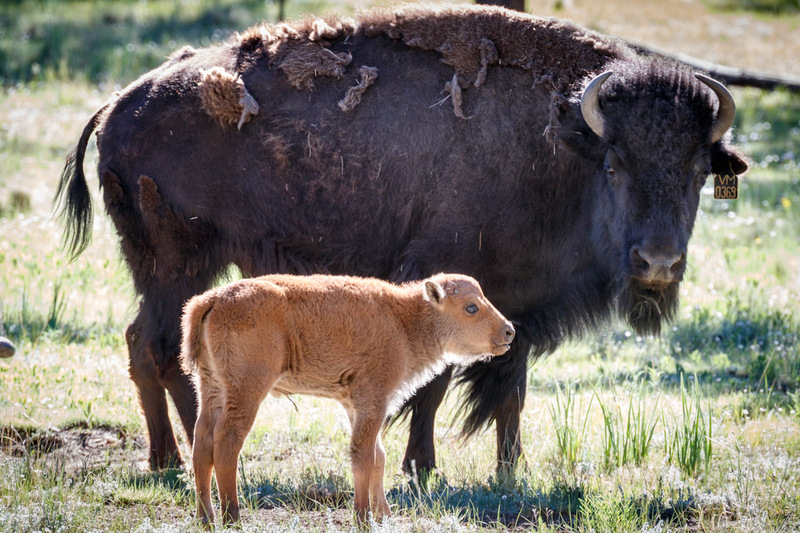 The area around Castle Rock is prime wildlife viewing area, so we will also look for Vermejo’s large bison herd, prairie dogs, perhaps check a favorite spot for golden eagles, and other animals. Old barns and stables are also fun to explore and photograph. 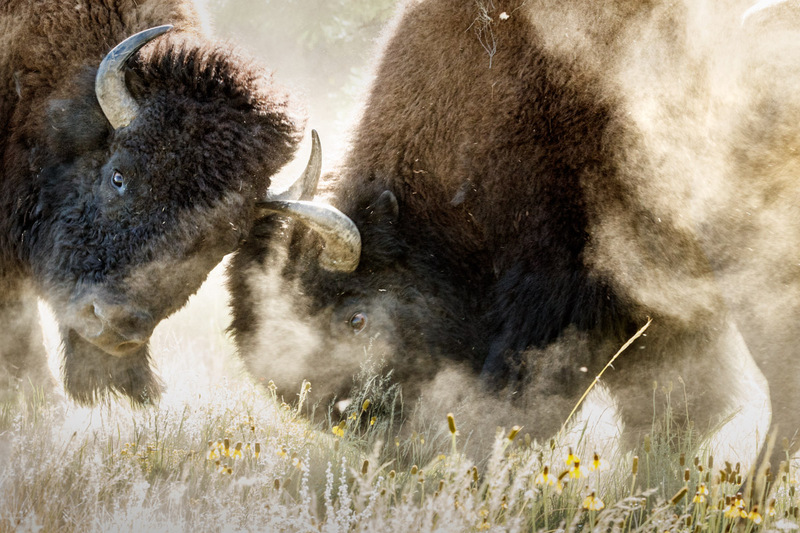 We will search for the large bison herds, elk and pronghorn that love this area. 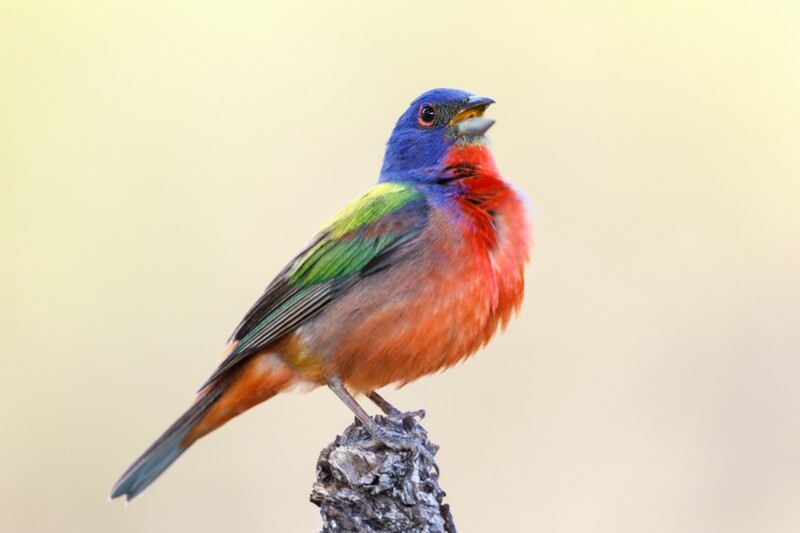 Depending on the light and winds, we will go out to different areas to look for wildlife. 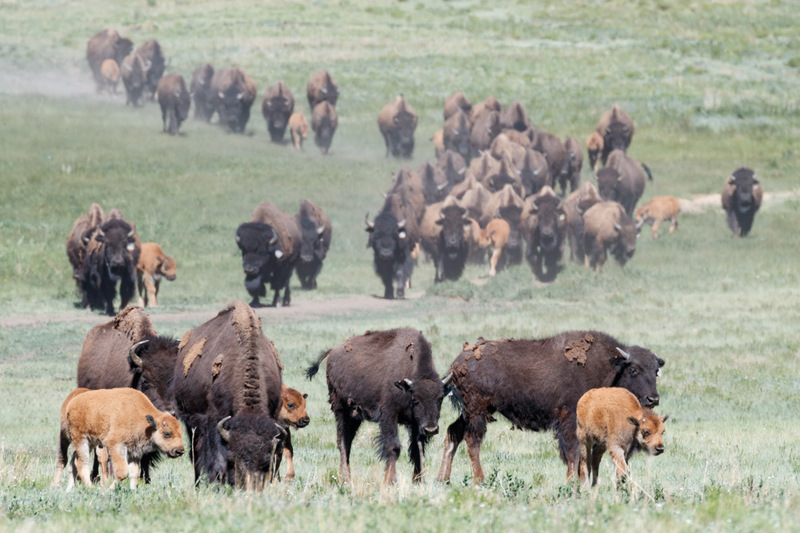 We try to adapt to where animals have been sighted, such as bears with cubs and the larger bison herds with young calves. After sunset, we will return to the lodge for a well-deserved dinner. 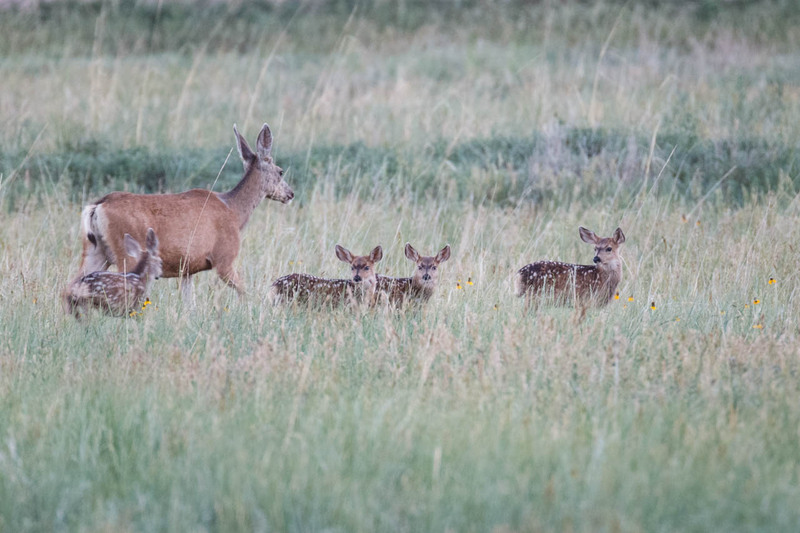 On day 3, we will start to head higher in elevation, photographing “The Wall” with the dawn light and head to high mountain meadows for animals and wildflowers. We will have a picnic lunch at a 10,000 foot aspen meadow. Our exact itinerary will vary depending on what I have scouted beforehand and what areas are really “hopping.” We never know what we might find. Now that everyone is acclimated to the elevation, we head to the highest parts of Vermejo! 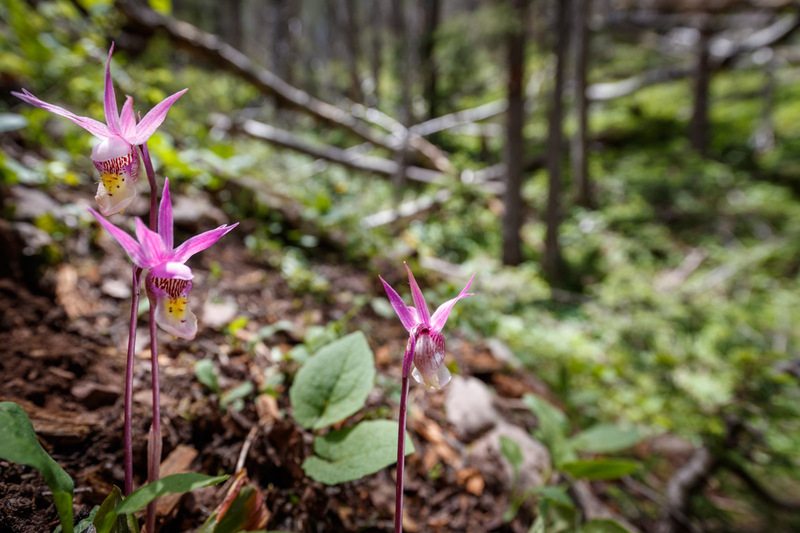 We will look for aspen groves, alpine wildflowers and wildlife. 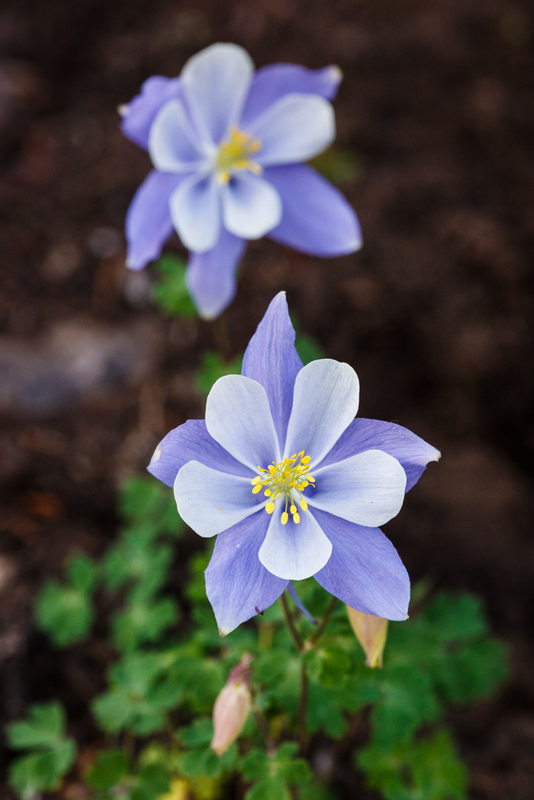 We will end up on a 12,000 foot mountain ridge above timberline as we search of huge herds of elk, bighorn sheep, and beautiful flowers like Alpine forget-me-nots. Not to mention, views to die for! We will have a picnic lunch in the dusk light. Sleep late after a long night and then catch a late breakfast and final wrap-up before check out. Those staying for the extra two day extension have the morning off and time to work on their images. In the evening, we will be back out to shoot into the night.